An extraordinary exhibition awaits you until November 6, 2010 at the Next Level Gallery, in Paris. 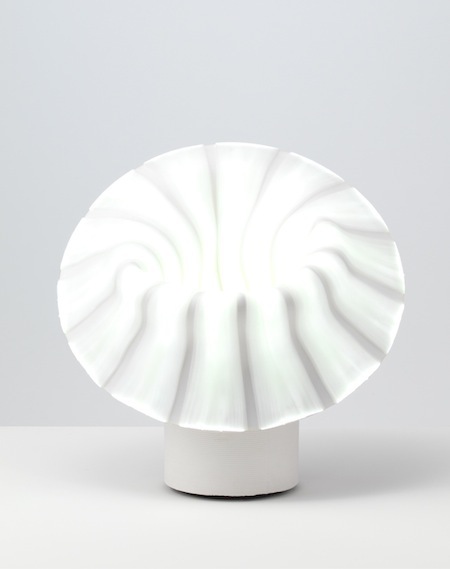 "Under my Skin", by architect and designer Bina Baitel, astonished its viewers with a series of mutant lamps and a new, original technique of light diffusion. 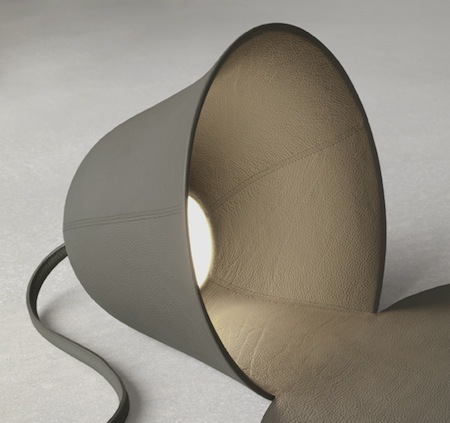 Our favorite: a lamp that becomes carpet (Snug lamp) and another one that can provide you free space for your home (table lamp Pad); the raw material designer used is a special leather, just like a "skin" which looks like a leather outside the lamp, as I told you before, but becomes light in the inner part. That actually happens because the luminous skin is composed of fiber frames connected to LEDs through a layer of translucent silicone lamp. This technique, the diffusion of light through pinholes fiber optics in silicon is mixed with the traditional know-how and the result is wow! Photographs belong to: Kleinefenn and Marie Flores (lamp Pull-Over), Next Level Gallery.